Be a Successful Entrepreneur TODAY! 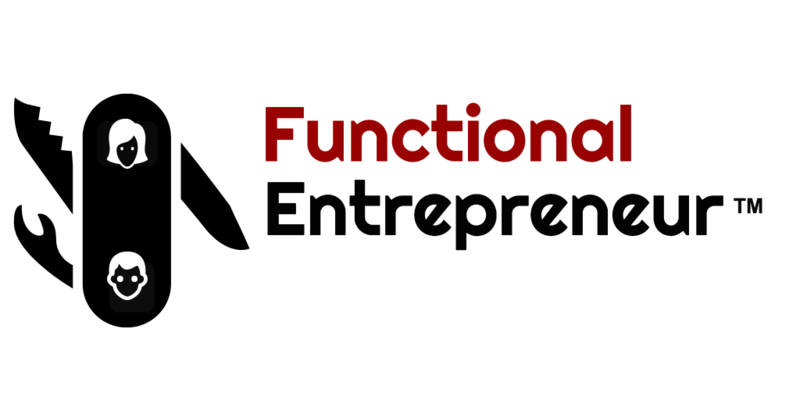 No matter what type of business someone opens in any industry, there is one common denominator between them all - the Functional Entrepreneur TM. Believe me there is data to support this. The cream always rises to the top and if you LEARN what it takes to be a Functional Entrepreneur TM you will too. Okay now I know what you are thinking, "Shakira, what exactly is a Functional Entrepreneur TM ?" Well I am glad you asked. Through my years of experience I have developed a list of 7 Traits of a Functional Entrepreneur TM that have helped countless business owners succeed beyond the first three years in business. Not everybody has what it takes and entrepreneurship is not for the weak - I can tell you that. 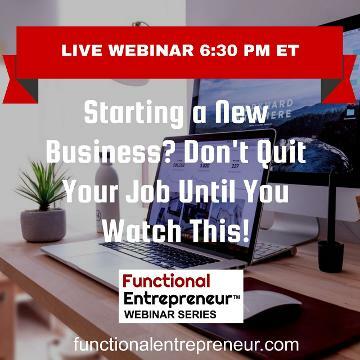 Whether you are thinking of quitting your job to start a business or you are in the first 1-2 years of running your business (if you are kudos to you) - now is the time find out what you really need to do to be a Functional Entrepreneur TM. 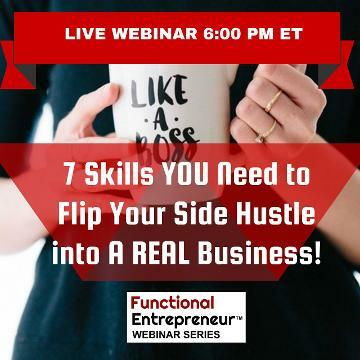 ARE YOU READY TO DISCOVER THE 7 TRAITS OF A FUNCTIONAL ENTREPRENEURTM? 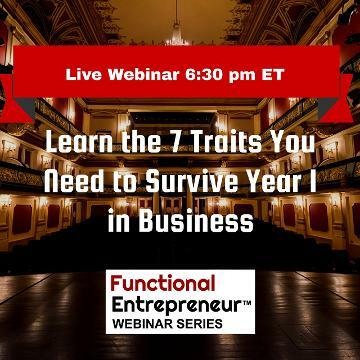 If so, then please scroll below to take part in an exclusive WEBINAR opportunity to learn the 7 Traits of a Functional Entrepreneur directly from me! Exclusive Webinars for Answers You NEED! 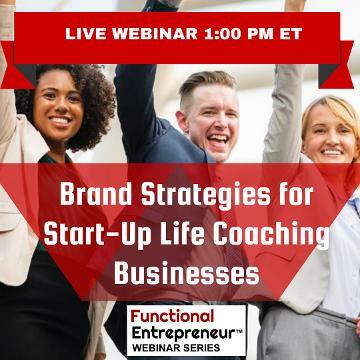 For a limited time, I am offering future and current small business owners the opportunity to participate in a LIVE webinar with me , The Small Biz Whisperer, to learn the 7 Traits of a Functional Entrepreneur . Hear the real deal, no holds barred advice that can help save you THOUSANDS of dollars of your own hard earned money in the long run. Whether you need to figure out if you are a Functional Entrepreneur, if it's time to hire someone to help you or if you should hold on to that old ball and chain 9 to 5 a little longer - SO ARE YOU IN?. So what do you have to lose ? SIGN-UP TODAY --Your FUTURE Depends on It. "According to the Bureau of Labor Statistics data, in general, about 20 percent of small businesses fail in their first year, and 50 percent of small businesses fail in their fifth year." Will you be the 50 percent that makes it to year six?